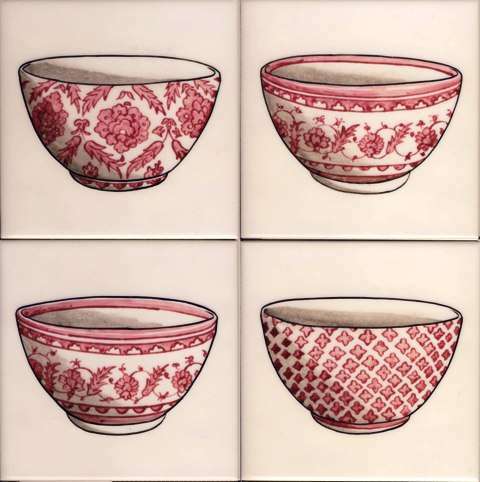 Four charming Chinese bowls on our standard 5" tiles. 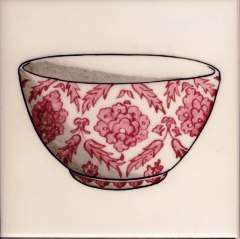 The design is taken from a Colefax and Fowler fabric. Copying elements of a fabric you have chosen can be an excellent way of uniting a scheme.